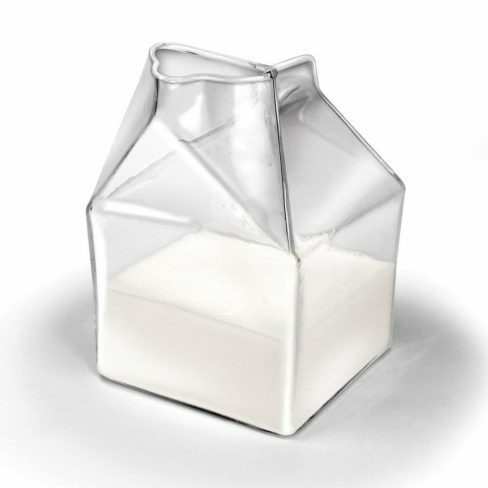 This novelty glass milk carton is a lovely accessory to use if you enjoy holding tea parties or if you are a coffee drinker. It looks like a milk carton but it is made of glass for effect. Your guests are sure to enjoy this as part of your tea or coffee service setting because it is so cute. 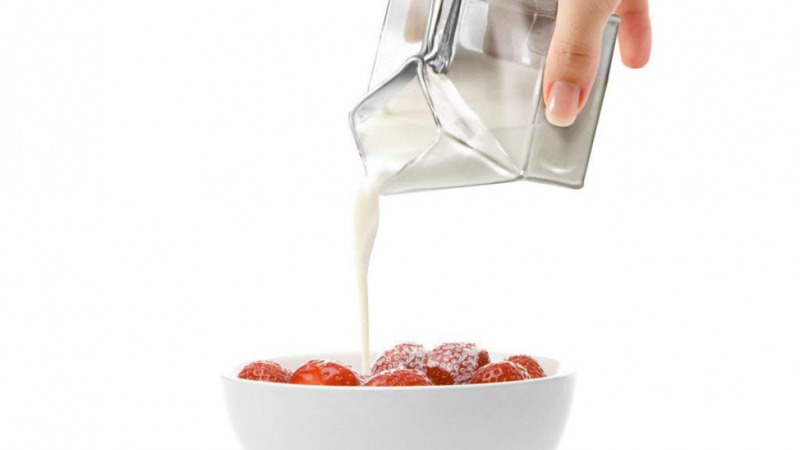 You can of course serve any cold liquid in this pourer, it is not just for milk. When serving hot beverages it is a good idea because people usually have a preference about how much milk they take. Serving the milk separately in a server such as this is common for that reason. It is not suitable for large gatherings of course but you could have several available. A great idea for when you are drinking a hot drink alone or enjoying tea/ coffee with a friend. The glass garton holds one pint of milk. This is a great gift idea because it is so much fun. The perfect choice for someone who loves drinking tea or coffee. Give it alone or add other suitable items to make a gift set or fill a gift basket. You could add things such as premium teas or coffee blends, a teapot or mugs. Perfect for Mother's Day, a housewarming party, birthday party or any other occasion.